Get some historical perspective at St. Isaac's Cathedral State Museum-Memorial and The Naval Cathedral of Saint Nicholas in Kronstadt. You'll explore the less-touristy side of things at Palace Square (Dvortsovaya Ploshchad) and Kazan Cathedral. Next up on the itinerary: pause for some serene contemplation at Church of the Savior on Spilled Blood, see the interesting displays at State Hermitage Museum and Winter Palace, admire the striking features of Nevsky Prospekt, and get engrossed in the history at Peter and Paul Fortress (Petropavlovskaya Krepost). To find reviews, traveler tips, maps, and other tourist information, read our St. Petersburg itinerary planner. New Orleans, USA to St. Petersburg is an approximately 23.5-hour flight. The time zone difference when traveling from New Orleans to St. Petersburg is 9 hours. In May, St. Petersburg is colder than New Orleans - with highs of 62°F and lows of 45°F. Finish up your sightseeing early on the 3rd (Sat) so you can travel to Kotor. Perched on the edge of a fjord-like bay rimmed by rugged mountains, Kotor grew around a medieval settlement purposely built like a maze. On the 3rd (Sat), don't miss a visit to Stari Grad Kotor. Keep things going the next day: steep yourself in history at Altstadt (Old Town) Budva, tour the pleasant surroundings at Milocher Park, then pause for some serene contemplation at Church of the Holy Trinity, and finally contemplate the long history of Citadel. To find where to stay, traveler tips, more things to do, and tourist information, read our Kotor itinerary planner. Traveling by flight from St. Petersburg to Kotor takes 6.5 hours. Alternatively, you can drive; or do a combination of train and bus. The time zone changes from Moscow Standard Time (MSK) to Central European Time (CET), which is usually a -2 hour difference. Plan for a bit warmer temperatures traveling from St. Petersburg in June, with highs in Kotor at 83°F and lows at 60°F. Finish your sightseeing early on the 6th (Tue) to allow enough time to drive to Dubrovnik. Start off your visit on the 6th (Tue): make a trip to Stradun, steep yourself in history at Gradske Zidine, then enjoy breathtaking views from Gornji Ugao Tower, and finally take a stroll through Cavtat Old Town. 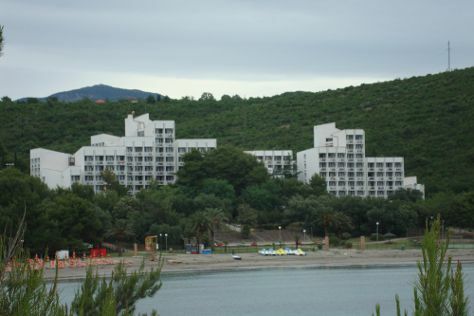 On the next day, contemplate the long history of Fort Lovrijenac and then get to know the fascinating history of Old Town. To see where to stay, traveler tips, and tourist information, you can read our Dubrovnik vacation planner. You can drive from Kotor to Dubrovnik in 1.5 hours. Alternatively, you can take a bus. Plan for a bit warmer nights when traveling from Kotor in June since evenings lows in Dubrovnik dip to 66°F. Cap off your sightseeing on the 8th (Thu) early enough to travel to Prague. Get a sense of the local culture at Prague Astronomical Clock and St. Vitus Cathedral. Get some historical perspective at Old Town Square and Ossuary / The Cemetery Church. Step out of Prague to go to Kutna Hora and see Cathedral of St. Barbara, which is approximately 1h 15 min away. The adventure continues: appreciate the extensive heritage of Prague Castle, snap pictures at Charles Bridge, make a trip to Old Town (Stare Mesto), and take an in-depth tour of Jewish Museum in Prague. To find reviews, ratings, and other tourist information, use the Prague trip itinerary maker. Fly from Dubrovnik to Prague in 5.5 hours. Alternatively, you can drive; or take a bus. Traveling from Dubrovnik in June, expect Prague to be a bit cooler, temps between 70°F and 54°F. Finish your sightseeing early on the 11th (Sun) to allow enough time to take a train to Cesky Krumlov. Known around the world for its medieval castle, Cesky Krumlov offers the chance to experience the charm of a small European city seemingly frozen in time several centuries ago. On the 12th (Mon), pause for some serene contemplation at Christi and Our Lady of Sorrows Church, steep yourself in history at Former cafe fink, then explore the historical opulence of Cesky Krumlov Castle, then appreciate the extensive heritage of Historic Center of Cesky Krumlov, and finally admire the masterpieces at Egon Schiele Art Centrum. 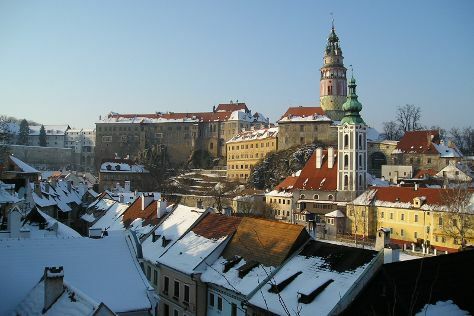 To find other places to visit, reviews, more things to do, and more tourist information, read our Cesky Krumlov trip planner. You can take a train from Prague to Cesky Krumlov in 1.5 hours. Other options are to drive; or take a bus. In June in Cesky Krumlov, expect temperatures between 74°F during the day and 55°F at night. Wrap up your sightseeing on the 13th (Tue) early enough to drive to Budapest. Start off your visit on the 13th (Tue): admire the striking features of Matthias Church and then don't miss a visit to Fisherman's Bastion. On your second day here, steep yourself in history at Shoes on the Danube Promenade Memorial, get a sense of history and politics at Residence Parliament, then take in the spiritual surroundings of St. Stephen's Basilica (Szent Istvan Bazilika), and finally take in the views from Chain Bridge (Szechenyi lanchid). For ratings, maps, reviews, and tourist information, you can read our Budapest trip itinerary planner. Traveling by car from Cesky Krumlov to Budapest takes 5.5 hours. Alternatively, you can do a combination of train and flight; or take a train. In June, plan for daily highs up to 78°F, and evening lows to 56°F. Finish your sightseeing early on the 16th (Fri) to allow enough time to drive to Krakow. Visit Memorial and Museum Auschwitz-Birkenau and Wawel Cathedral for their historical value. Get a sense of the local culture at Main Market Square and Wawel Royal Castle. There's much more to do: admire the landmark architecture of St. Mary's Basilica, contemplate in the serene atmosphere at Corpus Christi Church (Kosciol Bozego Ciala), contemplate the long history of The Barbican (Barbakan), and Head underground at Wieliczka Salt Mine. To find reviews, more things to do, where to stay, and tourist information, read our Krakow online itinerary creator. You can drive from Budapest to Krakow in 6 hours. Other options are to take a shuttle; or take a bus. While traveling from Budapest, expect slightly colder days and about the same nights in Krakow, ranging from highs of 72°F to lows of 53°F. Wrap up your sightseeing on the 19th (Mon) early enough to travel back home.